A new and innovative idea from Leitz, the Icon label printer, it is already a new award winning label printer. The Leitz Icon has been developed to be different and to meet the needs of modern day users! The label printing market has remained unchanged for many years. Yet the way we work and the devices we use every day have changed dramatically. You can connect to Leitz Icon using a number of methods (App, USB, Networked) however our favourite and most innovative is via the Apple or Android App. It’s free and easy to use. 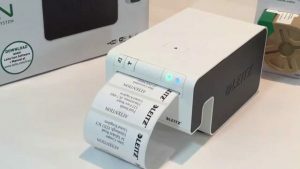 This label printer was built to be flexible – whether you want to print address labels, large banners for signs or just fancy organising your record collection, Leitz Icon has it covered. You simply select one of the cartridges from paper address labels and continuous labels to continuous plastic labels and card labels, simply drop in the cartridge – and that’s it you’re ready to print. If you add the optional battery pack, your desktop printer has just turned into a portable label printer. 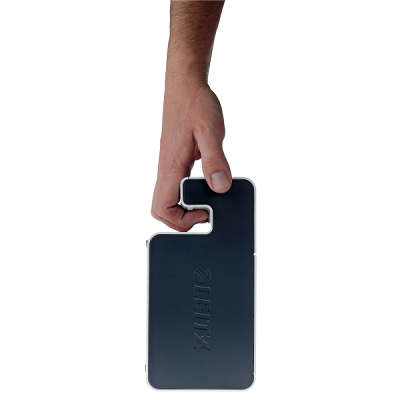 The battery pack will last up to 12 hours, so a full days use. Take a look at the range of Leitz Icon products available on DBC Office, including the Icon printer, the battery pack and a whole variety of label rolls with varying lengths and colours!